In a society where there is still an attitude and sense of entitlement, parents may face the difficult task of un-spoiling their children. I admit, as a child, I was probably a little spoiled but my parents also put their foot down on more than one occasion. The lesson stuck and I learned to wait until it was time. I also learned to appreciate what I already had- which was plenty. Now, as a mom, I want to instill those same values of having an attitude of gratitude and earning what you have, and appreciating what you already have. 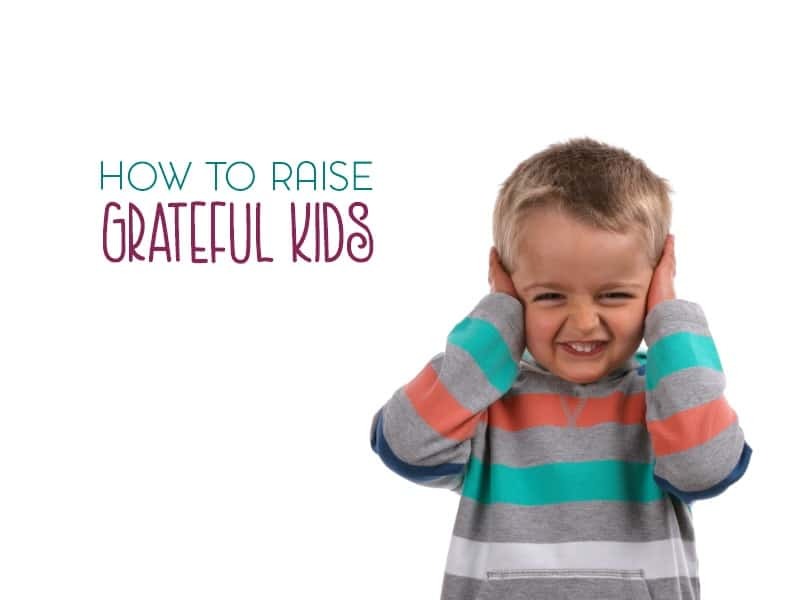 In fact, I’d say that being grateful is a key part of raising kids with character. 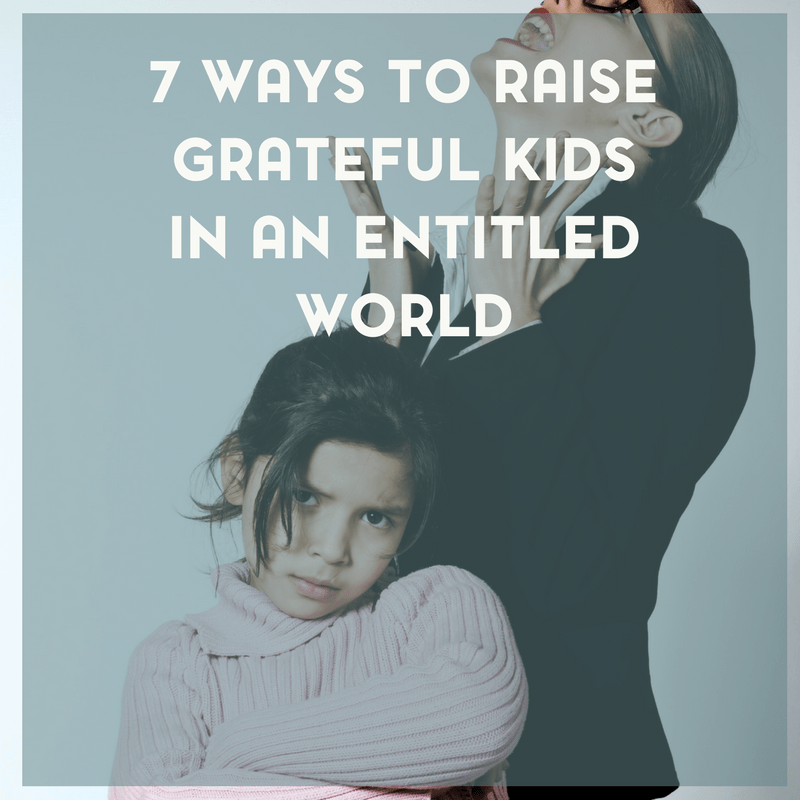 Here are a few ways to raise grateful kids in an entitled world. Are you spoiling your child and contributing to their entitlement? Be honest with yourself and it’s okay if you say yes. What most people mean when they refer to a child as “spoiled” is that the parents indulge their child too much. Whether it is through gifts or giving in to their child’s every whim, a parent who spoils their child rarely says no. This leads to the child making outrageous demands and insisting that they get their way all the time. When a child gets to the point of throwing tantrums every time they don’t receive their every whim, people refer to them as “spoiled”. There is more than one problem with finger pointing and labeling children. First of all, if a child hears someone refer to them as “spoiled” or another derogatory term, it erodes and damages their self-esteem. No child deserves to be tagged with a negative label about issues that have likely been put upon them through circumstances beyond their control. Another reason not to label a child as “spoiled” is because unless you are a part of that specific family, you do not know what is going on beneath the surface. 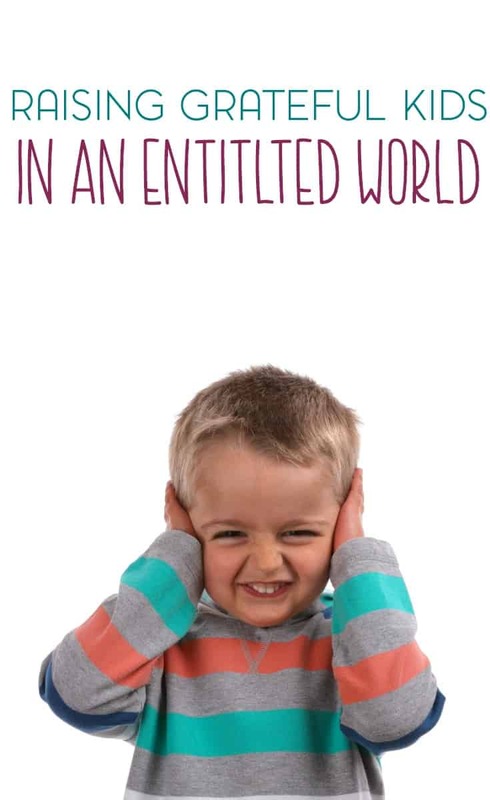 A child you think is spoiled may actually have learning disabilities and sensory issues that make it difficult for them to emotionally navigate the world around them. Saying that a child is spoiled also indirectly judges the parent, placing blame and negative intent on them. 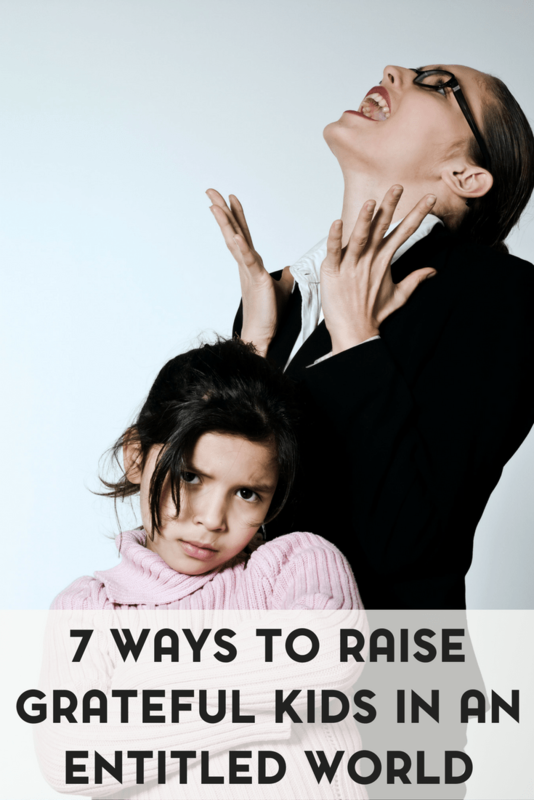 The short time that you view the child acting spoiled might be the worst part of their week. Perhaps the parent has been doing a great job and you have seen only a snippet of their child’s life story… the part of the story that included the child raging for 15 minutes over something they desperately wanted. Maybe they missed their nap, and have lost the control necessary to contain their emotions in that moment. If you are keen to raise a child who is respectful as often as possible at their age, and has the emotional tools to navigate the complications that life can bring, continue reading. The key is giving yourself to your child, rather than giving them “stuff” to make up for feeling inadequate in some way. Spend quality time with your child, and give them unlimited love. Shower them with hugs, kisses and affection. Let them know you love them and love being around them. Build up their self-esteem by raising them with confidence. Give your child the things they need in life to succeed, but resist the urge to buy them everything they want. Even if you have the financial means to give them everything they ask for, it does a child good to hear the word “no” every now and then. This prepares them to live in a world where they will not expect handouts, nor feel entitled to anything that is not rightfully theirs. Give your child love rather than things, because there can never be too much of that. This post does make use of affiliate links. By making a purchase through one of my links, I will receive a small commission. Let your child know you love and cherish them in other ways. Be fair to everyone and don’t destroy your child by letting them run the show or always be put ahead of everyone else. Do your best to treat everyone equally and your child will learn that is how life is. Have your child practice random acts of kindness so they can learn what it’s like to give back to others. Actively look for ways to give to others with your children alongside you.For example, volunteering in your neighborhood, teaching your children to be thankful, or keeping a kindness journal. This can be one of the best ways to squash the attitude of entitlement and to grow a heart of compassion in your child. Keep your eyes open for these educational moments, as they are all around us. Teaching your children life skills can also help squash the entitlement attitude. Are You Focusing on Time or Things? This is a question that every parent should ask themselves every now and then. When we are raising children in this culture of “too much”, it is easy to get carried away. All the fascinating toys, funky clothing, and even experiences like expensive vacations start to lose their benefit when there is too much of them. I’m plenty guilty of this too but we’re also working this. As a parent, it is normal and fine to want to spend money on your child and give them fun moments to treasure. But we should be careful not to go overboard. What our children really need, and want deep down is us. They want our time, our care, and our love. We don’t need to spend any money at all to make truly memorable moments together. Take a walk with your child, go to the park, or ride bicycles to the corner store for a simple treat. Shelve the expensive things and end the spending sprees. Are You Being Thoughtful of the Situations of Others? Are you buying your child brand name runners and fancy apparel while his friends can only afford the less expensive versions? We are not obligated to live exactly like everyone else; likewise we must be careful not to develop an attitude of superiority in our children. This can happen unintentionally when our child always has more than everyone else around him. Strive to even out the differences to promote camaraderie among your child and his friends. This makes it easier to avoid feelings of entitlement in your child. They say that the apple doesn’t fall far from the tree. Children are often young versions of their parents. It can be difficult to do, but take a reality check in your own life. Do you harbor feelings of entitlement? Are you living your life in a way that speaks of giving and humility, or of taking and selfishness? Do your best to be who you want your children to be someday. Instead of an attitude of entitlement, promote love and unselfish attitudes in your home and your children will be likely to follow your example. Raising a child with a giving heart is certainly possible. There are a few things we can ask ourselves to figure out if we are bringing them up in a way that will help them be aware of the needs of others, and to think less of their own wants. If we are failing in some area, sometimes all it takes is a few simple changes in our parenting to lead our children away from a sense of entitlement, and help them become the kind of adults this world needs.